Chloramine & Chlorine Removal – Whole house! 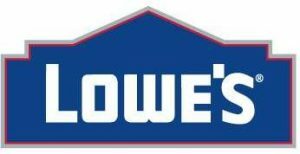 Categories: Chloramine Reduction Filter, Water Conditioners. Not all models are available at all locations. If you questions regarding availability of a particular model, please call your local store or Rainfresh support. Many municipalities across North America disinfect water using chloramines , a chemical compound formed by adding chlorine and ammonia to the water. Chloramines are used to reduce the formation of potentially cancer-causing compounds called Trihalomethanes (THM ). However, chloramines rended an offensive taste and odour to drinking water and beverages made from such water. In addition, chloramines can cause skin irritation, are corrosive by nature and are toxic to fish. 1/3rd of all Canadians drink water that has been treated using chloramines . Rainfresh whole house CCAF Chloramine Reduction Systems reduce > 90% of chloramines and chlorine from the water. Installed on the main water pipe in the home, CCAF systems provide chloramine and chlorine -free water for drinking, cooking, bathing, washing and even outside taps for watering your garden. Filtration media lasts up to 7 years! Installs on main water line after the water meter and before water pipe divides into hot and cold. You can choose to bypass outside taps if desired. No salt, replacement filter or chemical required ! Many municipalities across North America treat water by a process called “Chloramination”. It involves disinfecting water by chloramines, which are formed when ammonia is used in addition to chlorine. Chloramines reduce the formation of potentially cancer-causing Trihalomethanes (THMs). However, chloramines render an offensive taste and odour to drinking water & beverages made from such water. In addition, chloramines can cause skin irritation, are corrosive by nature, and are toxic to fish. How do I know if my municipality is using chloramines? Check with your town’s water supply dept. to confirm. Table 1 shows a list of municipalities that are confirmed to be using Chloramines. What does the Rainfresh CCAF Chlorine Removal Filter do? The CCAF chloramine filter removes chloramine, tastes and odours from ALL the water in the house (both hot and cold), including bathrooms, showers, kitchen and drinking water. How does the Rainfresh CCAF Filter work? CCAF features a compact bed of high quality catalytic activated carbon inside a fiberglass media tank. When chloraminated water flows through the carbon bed, chloramines, chlorine, taste and odours are instantly reduced and great-tasting water flows out of the unit. To keep the carbon media clean & fresh, the unit backwashes (cleans) automatically after a specific time interval, typically once a week. The cleaning cycle is set for a default time of 2AM and lasts about 10 minutes. It is completely automatic. How much water does the CCAF unit use when it backwashes? In each backwash cycle (cleaning cycle), the unit uses water lesser than a load of laundry. Where do I install the Rainfresh CCAF Chloramine Removal Filter? The CCAF filter should be installed just AFTER the water meter so that ALL the water in the house (hot & cold) is treated. 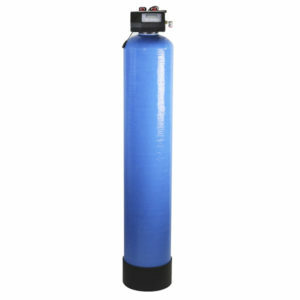 If you have a water softener, the CCAF filter should be installed BEFORE it. 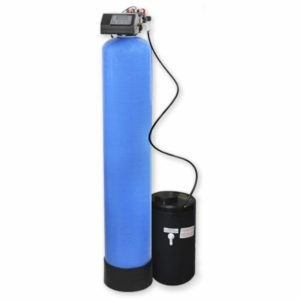 This will enhance the life of your water softener by protecting the degradation of softener resin due to chloramines/chlorine. What do I need to do after the Rainfresh CCAF Filter is installed? After the initial programming, there’s nothing else you need to do. Enjoy years of chloramine-free water. Are there are filters to replace on the CCAF unit? There are no regular filters to replace. However, over time (typically a few years), chloramine taste/odour returns (life depends on water usage and chloramine level in water). At this point just the media (and tank) needs to be replaced, which is available from the manufacturer. Media replacement typically takes 10 minutes. Does the unit need power? The unit will retain the time and day for 48 hours. The rest of the programmed settings (backwash time and frequency etc.) are stored in a non-volatile memory and will not be lost during a power failure. Is there a pressure loss through the system? When properly sized, the system produces a very low pressure drop at service flow rates, usually less than 10 psi. What is the warranty on Rainfresh CCAF Filter? Have more questions? Enter you own question below and our customer service will get back to you within 24 hours. 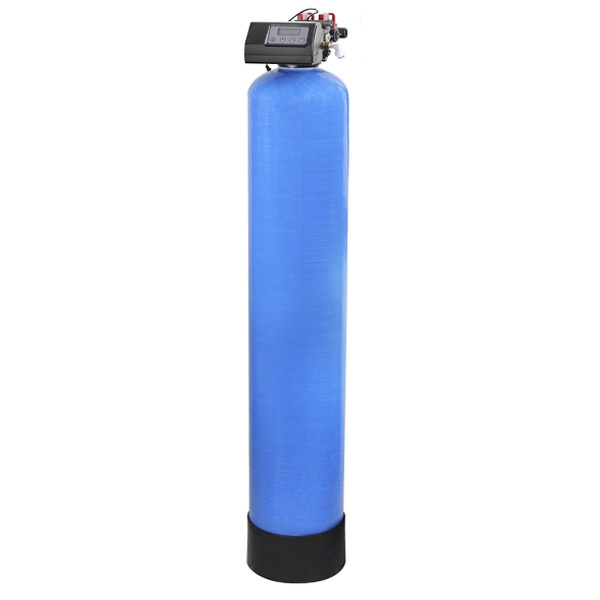 Chloramine removal filter whole house system is an excellent choice for removing chloramines and chlorine from water. Many municipalities across North America disinfect water using chloramines , a chemical compound formed by adding chlorine and ammonia to the water. Chloramines are used to reduce the formation of potentially cancer-causing compounds called Trihalomethanes (THM ). However, chloramines rended an offensive taste and odour to drinking water and beverages made from such water. In addition, chloramines can cause skin irritation, are corrosive by nature and are toxic to fish. 1/3rd of all Canadians drink water that has been treated using chloramines . 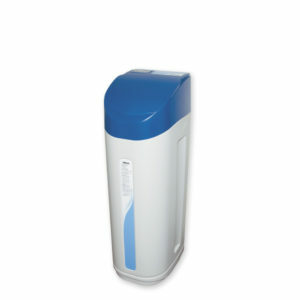 Rainfresh chloramine removal filter whole house reduces > 90% of chloramines and chlorine from the water. Installed on the main water pipe in the home, CCAF systems provide chloramine and chlorine -free water for drinking, cooking, bathing, washing and even outside taps for watering your garden. No salt, replacement filter or chemical required for Rainfresh chloramine removal filter whole house! Excellent product. Removes chloramines completely. Many municipalities across North America treat water by a process called “Chloramination”. It involves disinfecting water by chloramines , which are formed when ammonia is used in addition to chlorine . Chloramines reduce the formation of potentially cancer-causing Trihalomethanes (THMs ), but Health Canada states that there is potential for formation of other potentially dangerous by-products such as haloketones, chloropicrin, haloacetic acids etc, whose health effects are still under study. Among the known effects of chloramines are bad tastes and odours in drinking water & beverages made from such water. In addition, chloramines can cause skin irritation, are corrosive by nature, and are toxic to fish. It is estimated that 1/3rd of all Canadians now drink water that has been treated by Chloramines . Major urban populations in Edmonton, Red Deer, Lethbridge, Greater Victoria, Dauphin, St John’s, Toronto & surrounding areas, Saskatoon and many more are now on chloraminated water. Boiling water or allowing water to sit at room temperature does not remove chloramines from drinking water. 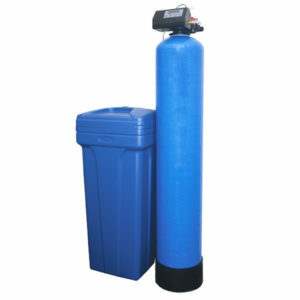 Most undersink activated carbon based filters or reverse osmosis systems are also ineffective in removing chloramines . Rainfresh QCA and CA1 filter cartridges are specially formulated and are tested and certified for chloramine reduction. Rainfresh Whole House Chloramines reduction system reduces chloramines from all the water in the home. Chlorine is the most common chemical used by municipalities around the world to make water safe to drink. Almost all municipal treatment plants in North America use chlorine for primary or secondary disinfection. Chlorine can form cancerous by-products with certain organic compounds present in water. In addition chlorine renders an offensive taste and odour to water and to beverages made from such water. Coffee and tea tastes much better when chlorine is removed from water. Many people have reported to be allergic to chlorine in the water. 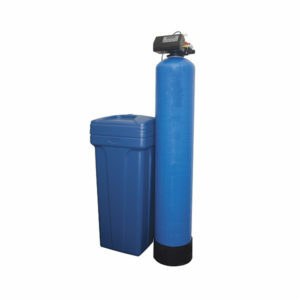 Chlorine from drinking water can be effectively reduced by activated carbon filter cartridges. All Rainfresh Drinking Water Systems reduce chlorine effectively. For whole house reduction of chlorine , Rainfresh CCF systems are recommended. THM are chemical compounds formed by the reaction of disinfectants such as chlorine , with natural organic compounds (decaying leaves & vegetation). Many THM were also used over the years as solvents and refrigerants and now sometimes find their way into our drinking water supplies. THMs most commonly found in drinking water are chloroform, bromodichloromethane (BDCM), dibromochloromethane (DBCM) and bromoform, although over 50 are known to be present in various drinking water supplies. THM are considered possible carcinogens (cancer-causing) in humans. According to Health Canada, animal studies indicate a link between specific THM and tumours. Some human studies also link THM with colorectal cancers & reproductive problems. Rainfresh Drinking Water System models UCS3, QS1, QS2 and filter cartridge models LR1 & VC1 are tested and certified for reduction of THM from water.